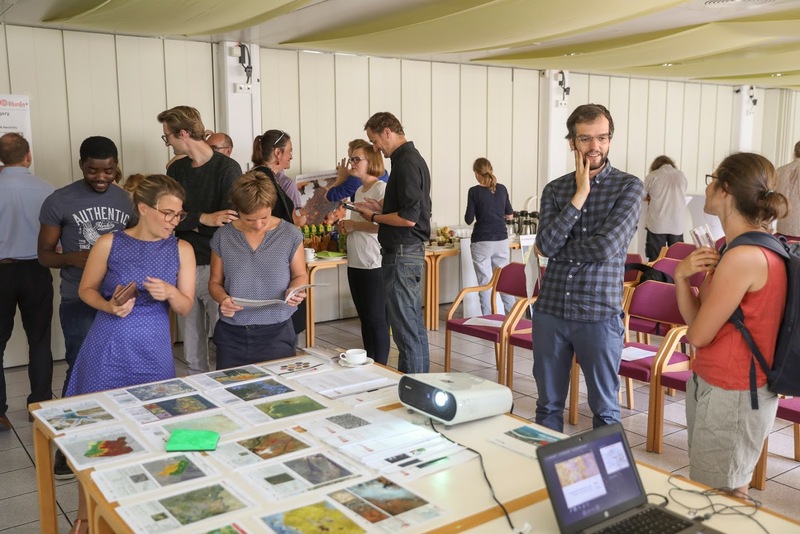 On June 5th a Humanitarian GIS fair was organized by the Austrian Red Cross. It was the last big dissemination event of the FFG-funded research project EO4HumEn+ Extended EO-based Services for Dynamic Information needs in Humanitarian Action, where Z_GIS and other research partners developed innovative Earth observation (EO) and GIS-based solutions to meet the diverse information needs of the humanitarian community. At the fair, new user-tailored solutions, digital innovations and organization-specific applications were presented by seven exhibitors: University of Salzburg Z_GIS, International Committee of the Red Cross (ICRC), International Federation of the Red cross (IFRC) Doctors without borders (MSF), SOS-children´s village, Wonderwerk and the Austrian Red cross (ÖRK) to an interested audience composed of NGO´s and governmental officials. Not only stimulated this event cross-fertilizing among early adaptors of GIS and EO tools in operations, but also it showed best practice examples to newcomers aiming to use geospatial technology in in the humanitarian aid domain. 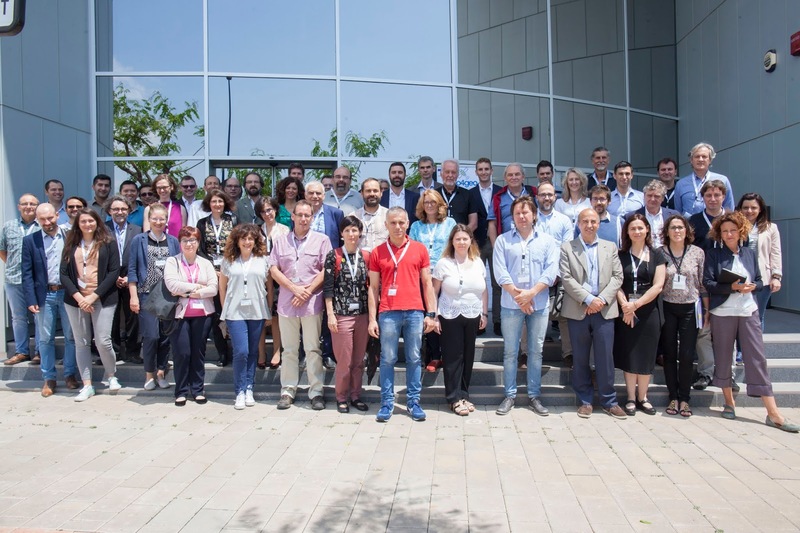 On May 30, a workshop on (future) demands in GI/EO profiles and skills needs in this sector was carried out at the University of Jaume, in Castellon, Spain. 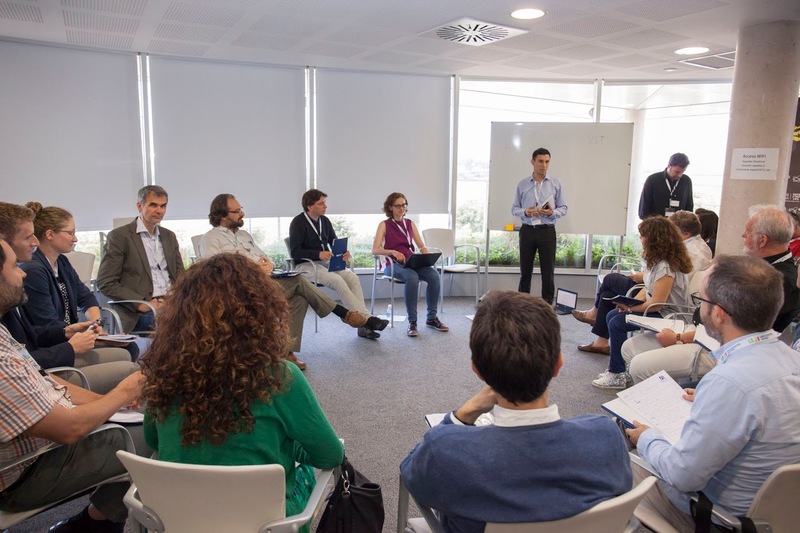 In a breakout session, organised by Barbara Hofer and Stefan Lang, three expert groups were discussing the current gaps in the workforce, specific needs in vocational and lifelong learning, and future trends in both society and technology and their likely impacts on job markets. A panel discussion with a.o. John Wilson (UCGIS), Mike Gould (ESRI), and Steven Ramage (GEO), widened the international perspective with viewpoints from academic networks, industries, and global associations. 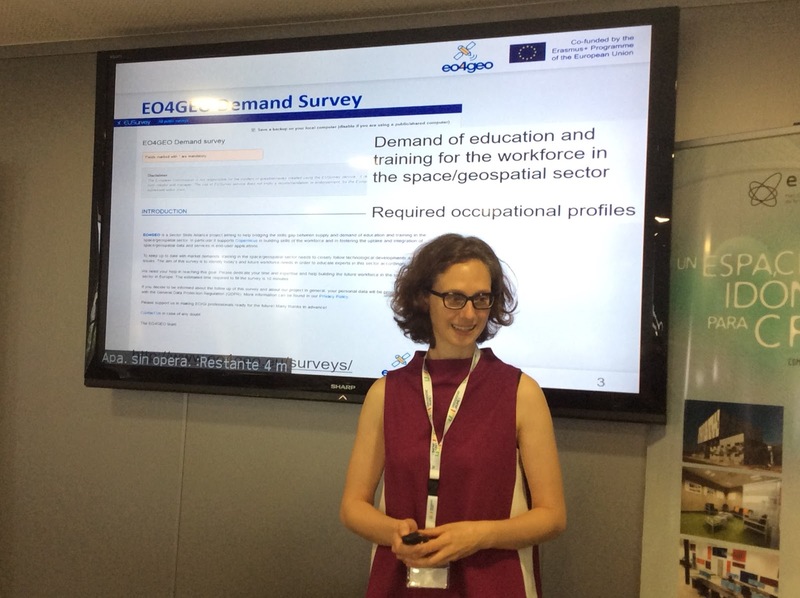 The suggestion from Z_GIS and the University of Basilicata, to design curricula for trans-EQF Copernicus expert profiles based on existing and adapted ESCO skillsets, was greatly supported by DG GROW. 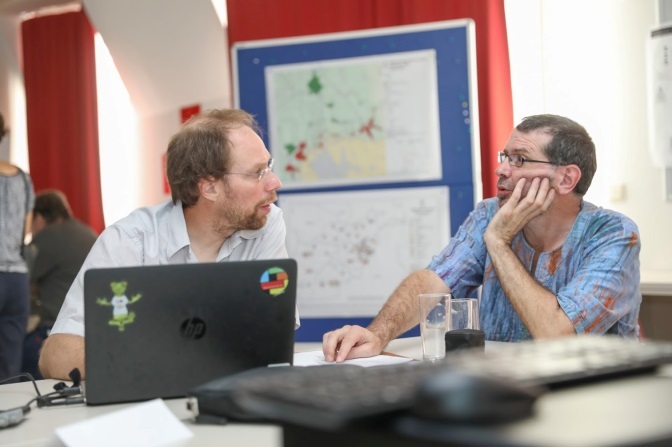 'Have you ever spent a lot of time developing an Earth observation (EO) project without exactly knowing whether the intended data source is suitable or not? ', is a central issue investigated by Martin Sudmanns and Hannah Augustin from the Z_GIS' OBIA research group (http://obia.zgis.at/). Today, they are very pleased to announce their first version of EO-Compass. Please visit http://eo-compass.zgis.at to check out what it is and how it works! 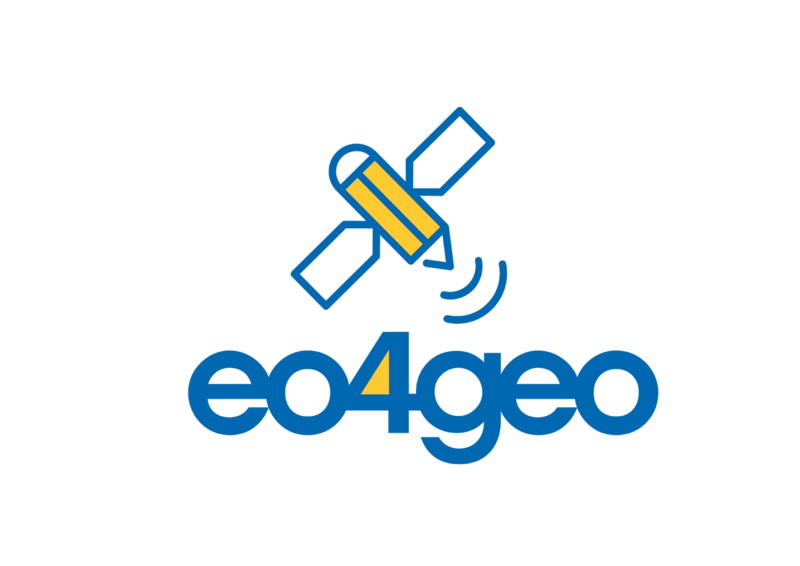 EO-Compass aims to improve the conceptualisation, planning and feasibility assessment of EO-projects by providing information about the data coverage of the European Sentinel-2 satellites. It also projects future acquisitions, offering available weather forecast data to help you decide if you can use upcoming acquisitions in applications that are time-sensitive. The interactive Web-based tool visualises and analyses the metadata of the nearly 4 million currently accessible Sentinel-2 scenes, revealing the spatio-temporal variability that inherently influences analyses. 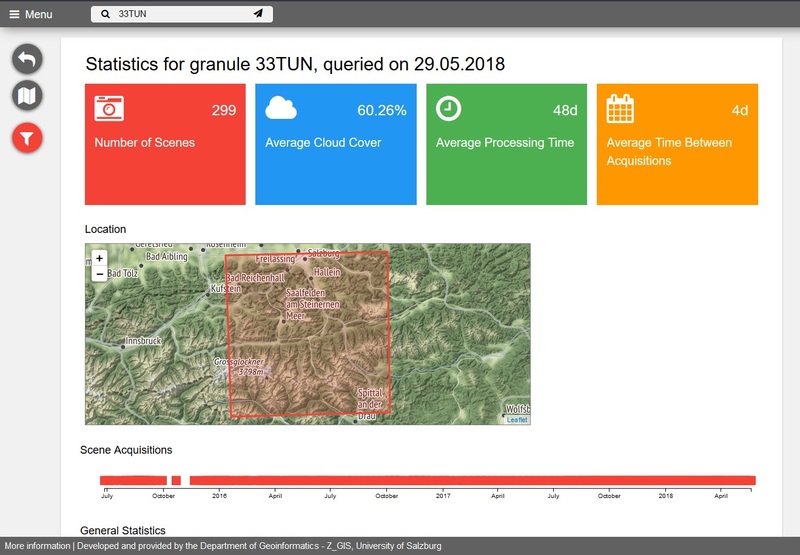 The module "granule maps" allows you to visualise the spatio-temporal distribution and density of Sentinel-2 acquisitions, as well as quality information (e.g. cloud cover). Users can select an area-of-interest and immediately retrieve relevant information about the frequency of acquisition, historic information of the average time between cloud-free acquisitions, etc. using the "granule statistics" module. The "satellite status" module allows you to see the current position and predicted acquisitions within the next few days, enriched with available weather data.